Used the matte top coat as a base coat because it helps nail polish adhere better! This is great cos it makes any colour matte, and you don't have to specially get matte colours! 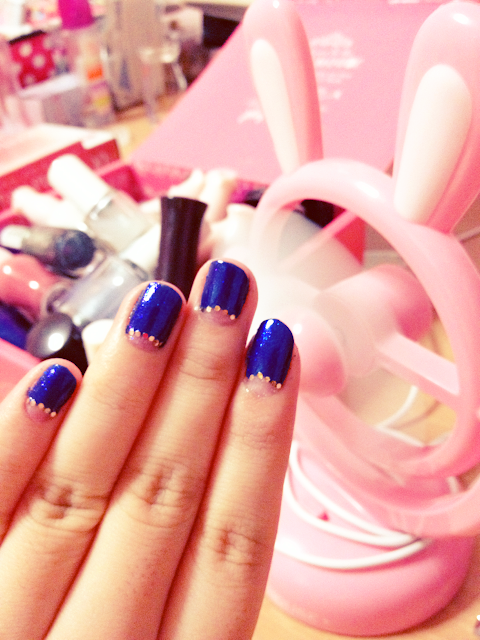 Favourite blue nail polish of my stash!! Gives a super glossy finish and makes glitters even more BLING!